1. 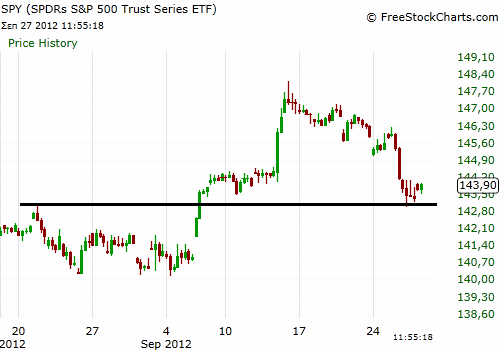 The market is in uptrend in the short term (SPY daily chart below). 2. JCP has visited a strong support (daily chart below) and it stopped exactly at its lower point. 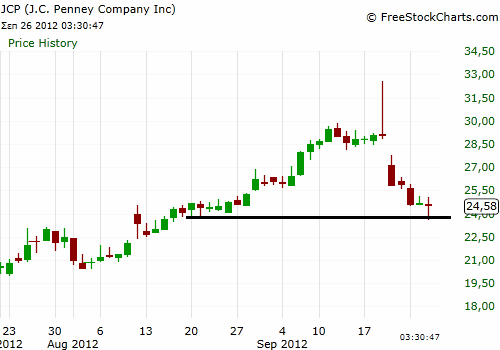 The possibility of a reversal here was quite high because the stock was visiting for the first time a strong support. 3. 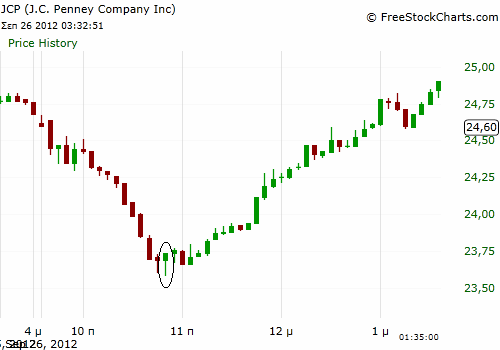 We entered the trade using the hammer candlestick pattern (below) in the 5 minutes chart and put the initial stop below the low of the candlestick ($23.57). 4. 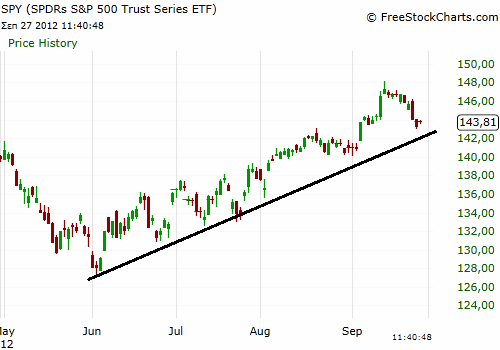 In the 2 hours chart the market (SPY) is visiting for the first time a prior resistance which is now a support (below), so the possibility of a short term reversal is high. We exited using a market order because we have to leave and couldn’t stay on line to manage the trade. A proper risk management could have produced a profit of almost $1/share.